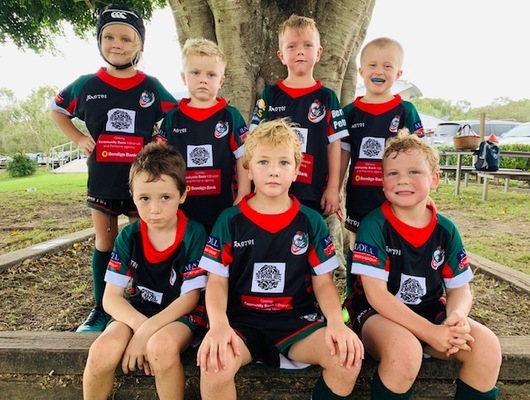 The Eumundi Dragons U8s learnt some valuable lessons on the weekend against the Noosa Dolphins. Though they were slightly out sized they held their own and consistently tackled, won the ball at the break down and scored an equal number of tries. The team is starting to gel together and are keen to get amongst it with some epic mauls, passing and support. Tries by Brooklyn Griggs, Jack Cooper, Billy Gunton, George Hillhouse and Josh Kuczynski were the result of some great team effort. Most of the team backed up and ran on for the U9s for some more game time against Maleny. It was a tough day at the office for the U10 Dragons against a strong Uni team. Right from the start it was a battle of attrition with gains made and lost by both sides. There were some good runs made by the dragons but there were a lot of turn overs. Both teams applied pressure in the first half and it was a hard contest. The second half saw Uni run away with the game, though the Dragons were valiant in defeat. Max Johnson-Thompson made some spectacular tackles throughout the game. The Dragons have some lessons to take away from the match, and will be stronger for the experience. A bit of rain didn’t stop the under 6s from another mighty performance. 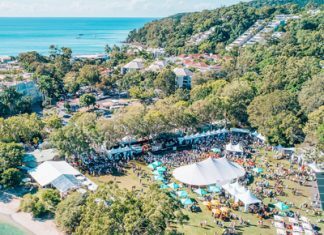 Against a well drilled Noosa opposition the Dragons defended well, with a standout performance from Henry, who showed great speed around the field. Incorporating some skilful passing and setting up tries, Arthur, CJ, Jax, Nixon, Nya and Owen all proved that the mighty U6 are a force to be reckoned with.